Barn doors traditionally have been reserved for rustic or country-style decor. But the latest barn door hardware has greatly improved in design aesthetic, function and affordability. A sliding barn door is now a decidedly modern option. 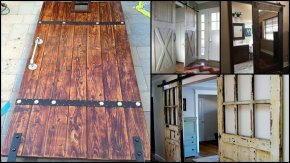 Given these enhancements, as well as the variety of hardware available to complement nearly any home decor, barn doors are a stylish and accessible design feature when you need a door that makes a grand statement. If you’re considering the use of barn doors in your home, think outside the box. They’re a beautiful and practical alternative to a room divider or curtain when you need to create privacy or divide open spaces. A barn door is also useful where there is plenty of wall space but a swinging door could affect the flow of the room. We’ve rounded up some modern barn door ideas for a little inspiration. 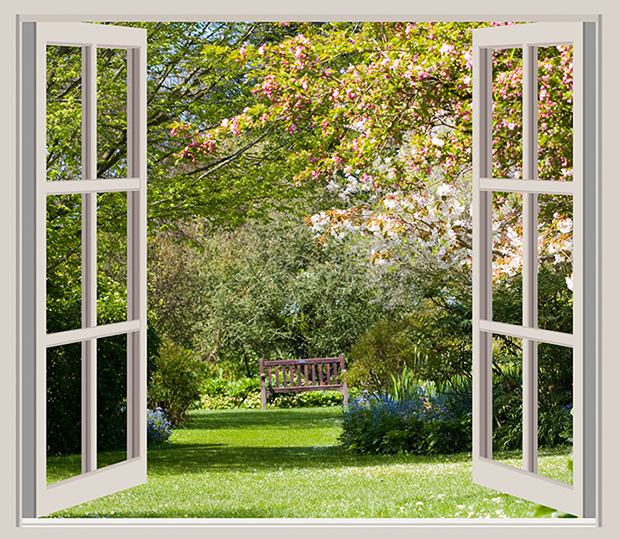 Here are 10 ways you can use them to freshen up a space. Take rustic wood and create barn doors with a nod to their origins. The look is most effective in minimalist, contemporary spaces where the color white and concrete materials dominate. Rustic barn doors add texture and warm up the space, as in the art studio above. Add function and a bit of whimsy to your barn door by painting the surface with chalkboard paint. The multitasking door will hide what’s behind it beautifully while serving as a communications center. To give barn doors a modern look, consider painting them in a bright, bold color. Go with high-sheen paints or lacquers that add gloss and richness to the color you choose. Try orange, lime green, turquoise or bright red. Bring your barn doors into the 21st century by selecting materials with a luxe, contemporary edge. The mirrored black surface of this barn door is the opposite of what comes to mind when most people think about barn doors. A door does not have to be purely utilitarian. Why not mount barn doors that have an artistic quality to them? They will hide or divide what you need them to, in a beautiful, wall-art sort of way. Get creative with the materials for your barn doors. The chic one above may look like it cost a pretty penny, but it’s actually a salvaged old door. New hardware and a fresh coat of stain brought it back to life. This homeowner went with the multifunctional aspect of a barn door by using a large mirror as the door itself. Mirrors have several advantages: They can reflect light and good views, serve as part of the dressing process and hide whatever is behind them. Dimensions: 6 L x 5 H x 3 W.
Please Contact Us Within 24 Hours To Tell Us About Your Custom Ideas.